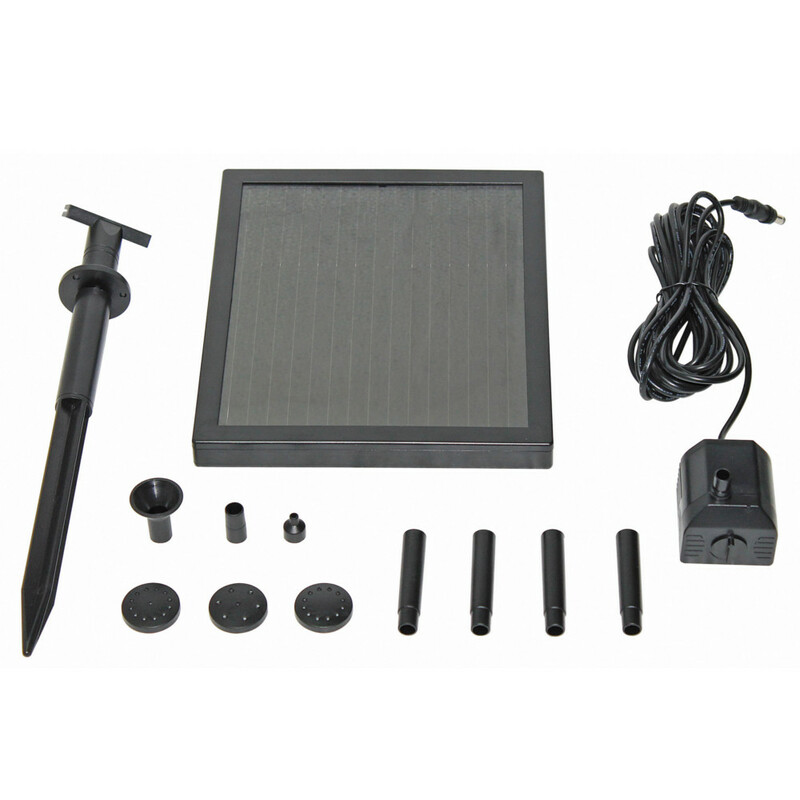 Pontec offer a competitively priced range of Solar powered Pond pumps. 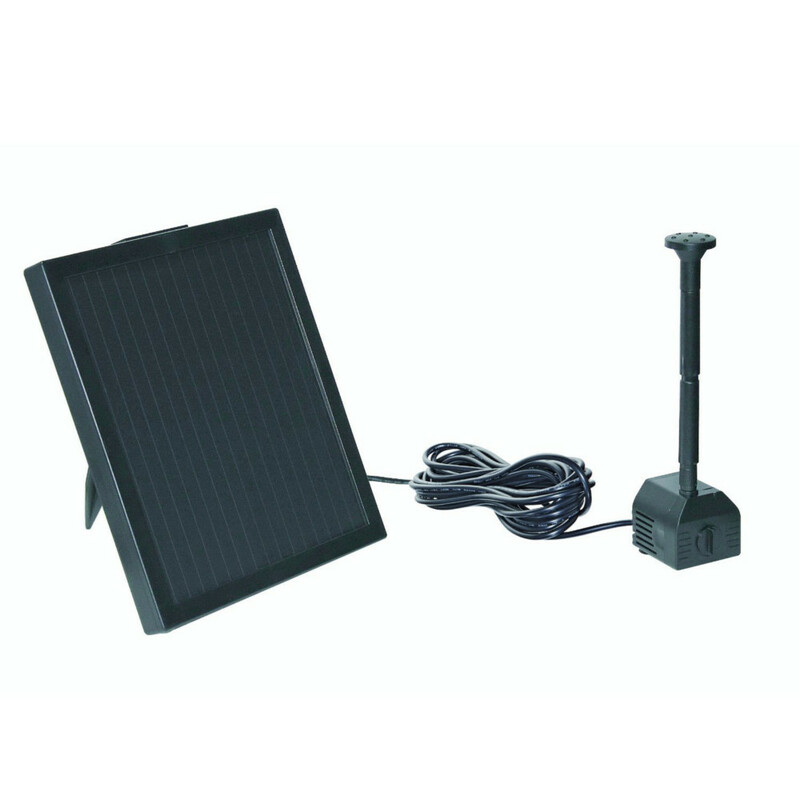 The Pondosolar Fountain sets come in 4 sizes, suitable for many ponds. 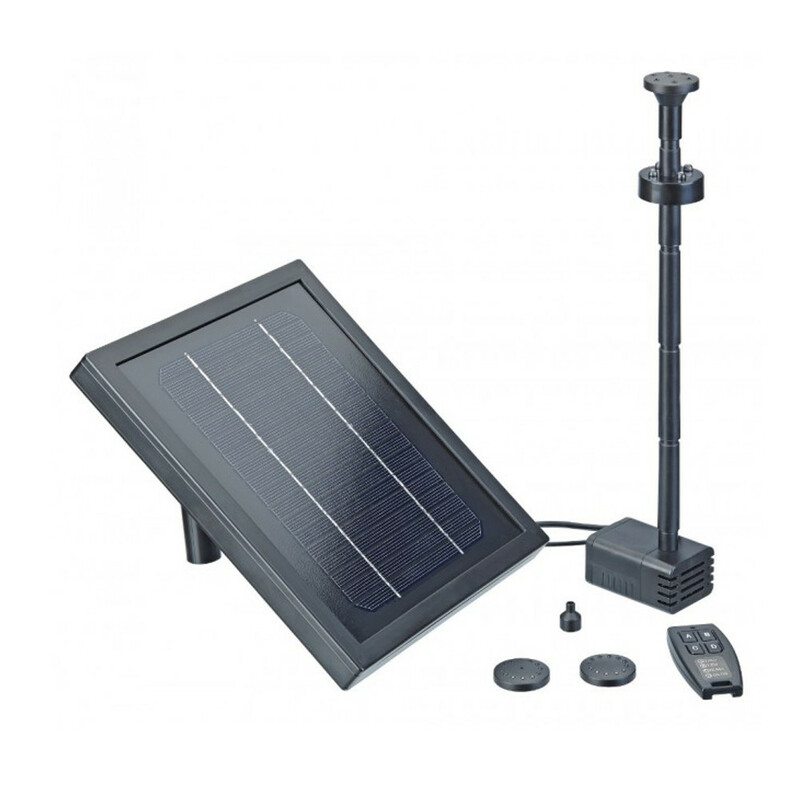 With a solar pump, you do not have to worry about the energy used, its it is all sun powered. Each set is easy to set up with a compact fountain pump connected to a 5 Metre cable that then plugs into the solar panel. Each set has a ground stake for convenient positioning of the panel around the pond. The fountain pump is supplied with a selection of fountain heads to create different display effects. 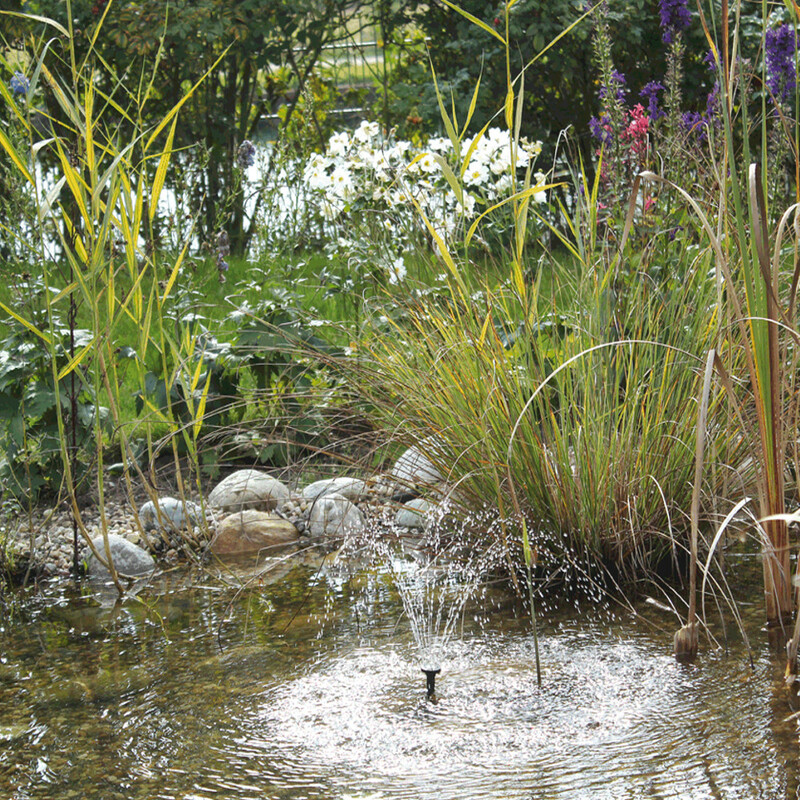 The pump set can be used in any pond or water feature. 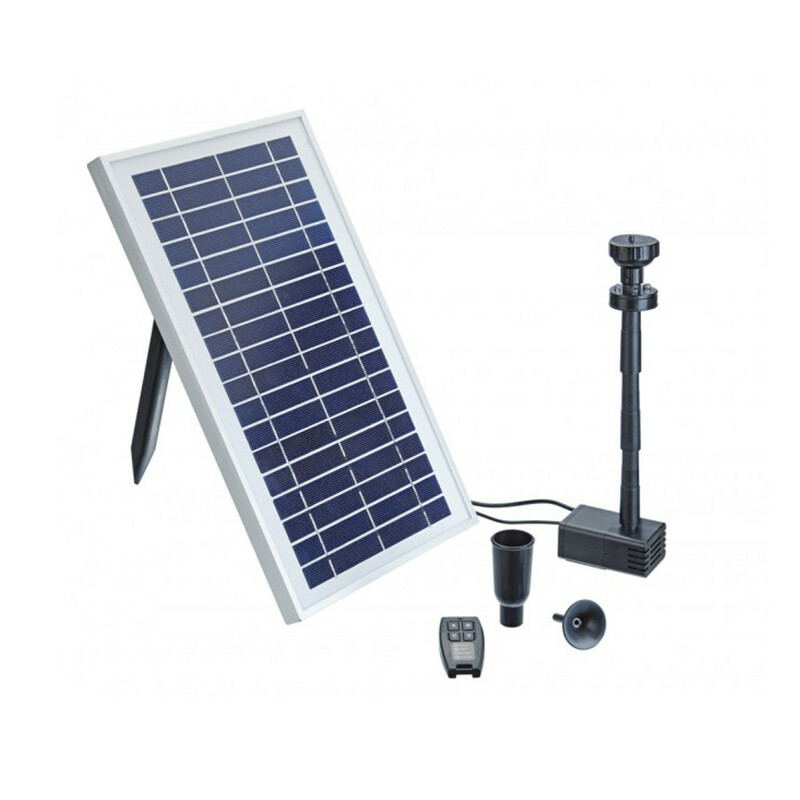 The 250 Control and 600 Control have an added features of being supplied with LED lighting and a remote control for easy control of the pumps functions. 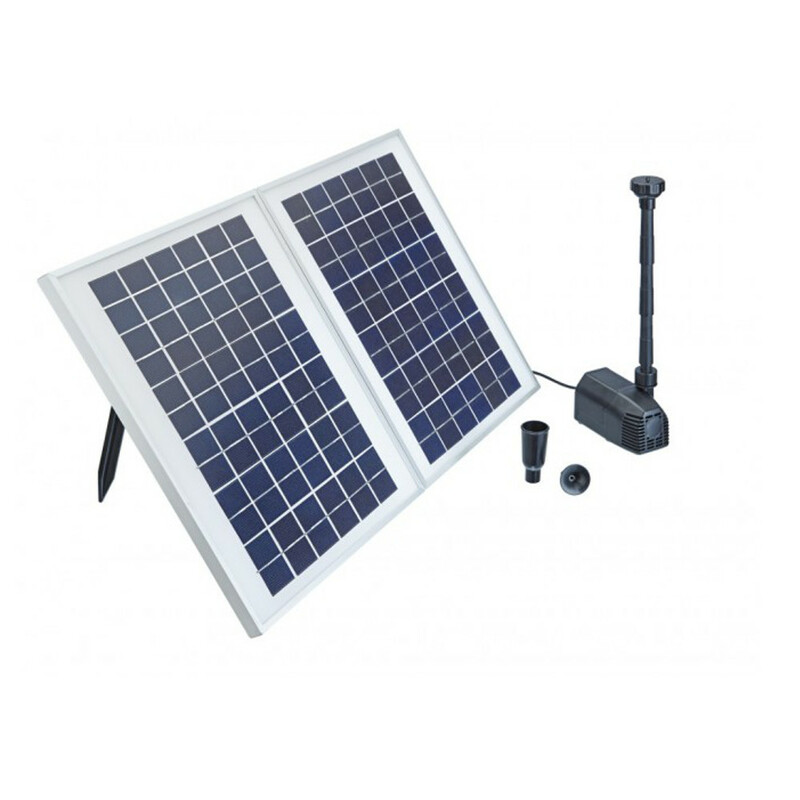 The 1600 set also comes with an extra solar panel. 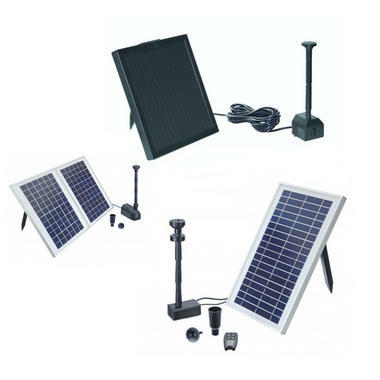 Model Max Flow Rate in LPH Solar Panel Size and Wattage Pump Dimensions Max Fountain Head Height Included in box.